Earlier this week, Neil Morrison wrote an interesting blog post about the different levels that HR needs to operate at. L&D is widely accepted as an HR function, and even for those who may not accept that, it is the case in most organisations. What Neil wrote about is very applicable to what’s happening in L&D. I’m fortunate enough to talk to a lot of L&D practitioners at all levels. I don’t differentiate between internal, external, junior or senior. We’re all experienced in different ways of delivering L&D and we all have insights that are valuable. When I talk to people about what they do, I listen out for what they’re thinking too. That helps me understand the mindset they’re approaching their L&D challenges with. In another recent post, Jane Hart wrote that she believes L&Ders are falling into two camps – the traditionalists and the modern workplace learners. I can understand why Jane observes this, and I think it’s perhaps more useful to consider that L&Ders are on a continuum with their skills and with their thinking. I’ve been doing this L&D stuff for several years now, and there’s one thing I’ve learned more than any other in that time. There is no right answer for delivering L&D. If it works for the context of your organisation, then keep at it. There are better ways to think about that delivery, but, in the main, no-one is going to suffer from your delivery. A lot of the debate about delivery of L&D solutions tends to focus on the use of digital technologies – and quite rightly so. When online collaborations companies like Slack are valued at $2.8 billion and projected 2015 revenue to hit $30 million, this isn’t some flash in the pan new fangled technology, this is serious business. When LinkedIn bought Lynda.com for £1.5 billion, this signalled more strongly than anything previously than online learning is fundamentally disrupting the way L&D delivers its solutions – suppliers and practitioners of all sorts need to take stock of this. Most of us will understand some of all of those topics. How many of us are truly able to swim across all of those lanes? We may have a preference for concentrating on some aspects more than others. We may already be delivering in one way and are reluctant to learn about others. The challenge facing L&D isn’t about which technology you choose to use or which supplier you choose to partner with or how to implement the 70:20:10 model of learning. The challenge facing L&D is how to understand the myriad factors that affect performance at work and how we can provide solutions that are fit for purpose. 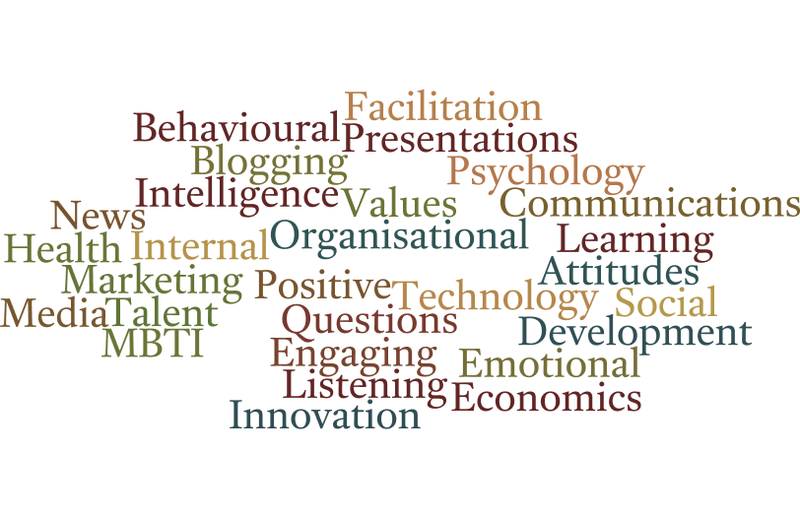 A lot of what we do in L&D is to simply advocate for courses/workshops/e-learning. A lot of what we don’t advocate for in L&D is how to have better conversations with people, how to consult better, how to learn better. We don’t have to be the arbiters of all knowledge that needs to be shared at work, we just need to help facilitate the thinking in ways that make sense to the person doing the job. Be mindful about the trends that aren’t just being observed by others, but the actual usage of new ways of thinking. Neuroscience is a fascinating area and informing us a lot about how the brain works. But there are very few practitioners who make use of insights from neuroscience to deliver markedly different L&D solutions. the examples above of Slack and Lynda.com are the kind of market movements that tell us not only are these things serious contenders, but millions of people are actively using these tools to improve their performance and work more effectively together. That’s where we can learn useful new habits from and useful new ways of delivering better L&D solutions. And also be aware of this. Although the advocates will lead the light brigade and get frustrated that L&Ders aren’t all moving to fully integrated holistic learning solutions, that doesn’t mean you have to feel bad about not doing so. Take experimental steps to figuring this stuff out. That’s what I do. I don’t lead with fully developed learning solutions that are going to radicalise workplace learning. I find a way to experiment which gives me useful feedback. When I’ve done that, I take the time to learn about what happened, how effective it was, and what needs to be done differently next time. Sometimes I get it right, sometimes I get it wrong. Either way, I make sure I’m in a safe place to do this. When I’m ready to provide a fully solution is when I’ve experimented fairly and in a way which gives me the credibility I need to make bolder moves.